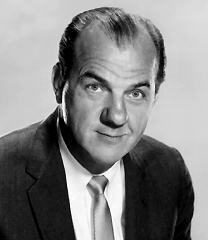 One of Hollywood's most versatile and reliable character actors, Karl Malden played everything from priests, detectives and generals to heavies and song-and-dance men over the course of a five-decade film career beginning in the late 1940s. During a period of transition in Hollywood, Malden's acting style enabled him to work equally well with established stars who practiced the traditional "external representation" approach to acting as well as those newcomers using a more psychological "method" in the early 1950s. Though he appeared in his share of B-movies and Warner Bros. programmers, rarely getting the girl, Malden nevertheless made significant contributions to a number of classic films. "Streetcar" (clip) from A STREETCAR NAMED DESIRE (1951) by Alex North (a .MP3 file). "Original Theatrical Trailer" from A STREETCAR NAMED DESIRE (1951) with Vivien Leigh, Marlon Brando and Kim Hunter (courtesy AMC). "Terry confesses" from ON THE WATERFRONT (1954) with Marlon Brando and Eva Marie Saint (a .RAM file courtesy Columbia Pictures). "Overture" (clip) from HOW THE WEST WAS WON (1962) by Alfred Newman (a .MP3 file courtesy Rhino Records). "Main Title" (clip) from HOW THE WEST WAS WON (1962) by Alfred Newman (a .MP3 file courtesy Rhino Records). "Shenandoah" (clip) from HOW THE WEST WAS WON (1962) by Alfred Newman (a .MP3 file courtesy Rhino Records). "The Pony Express" (clip) from HOW THE WEST WAS WON (1962) by Alfred Newman (a .MP3 file courtesy Rhino Records). "Finale" (clip) from HOW THE WEST WAS WON (1962) by Alfred Newman and Sammy Cahn (a .MP3 file courtesy Rhino Records). "Original Theatrical Trailer" from GYPSY (1962) with Natalie Wood and Rosalind Russell (a .MOV file). "Main Title" (clip) from CHEYENNE AUTUMN (1964) by Alex North (a .MP3 file). "Overture" (clip) from CHEYENNE AUTUMN (1964) by Alex North (a .MP3 file). TVNow's monthly Karl Malden schedule -when his films will be on TV.